Mid-year M.D. 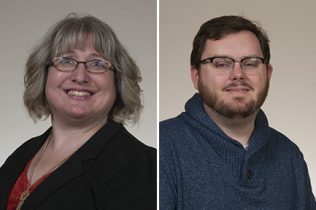 gradautes John Logan, Margaret Finn and DJ Kemp. The School of Medicine recognized graduate candidates from M.D., Master of Science, and Graduate Certificate degree programs who participated in the UMKC Mid-Year Commencement Ceremony on Dec. 15 at Swinney Recreation Center. Students receiving their M.D. degrees were Margaret Finn, DJ Kemp and John Logan. Abdulraham Al-Sulimai received a Master of Health Professional Education degree. 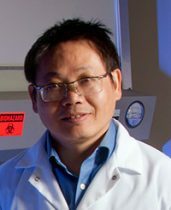 Four students graduated from the school’s Master of Science in Bioinformatics program in December. They are Firas Al Badarin, Poghni Peri-Okonny, Seemeen Hassan, and Gustavo Vilchez. 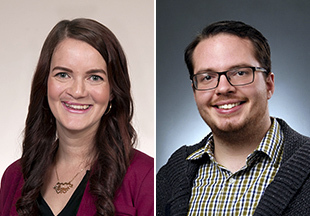 Two students, Yahia Mohammed and Nicole Wood, also completed the school’s graduate certificate program in clinical research. The combined mid-year ceremony honored graduates from the Conservatory of Music and Dance, Henry W. Bloch School of Management and the schools of Biological Sciences, Computing and Engineering, Education, Law, Medicine, Nursing and Health Studies, Pharmacy and Graduate Studies. 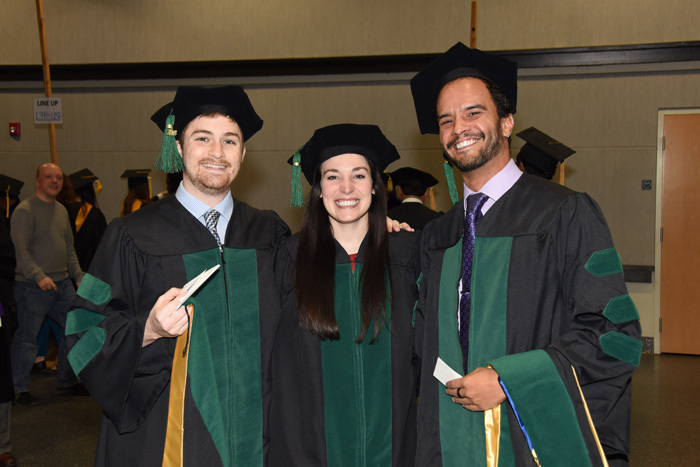 The School of Medicine’s spring graduation ceremony is scheduled for 3 p.m. on May 20, 2019, at the Kauffman Center. 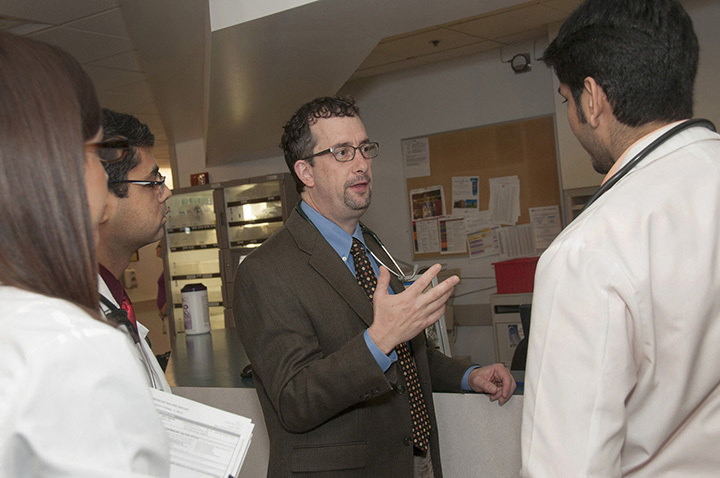 School of Medicine faculty members led a local summit on advanced non-small cell lung cancer, discussing novel treatments for patients with lung cancer on Dec. 11. The State of the Science Summit brought together academic and community-based physicians and health care professionals across disciplines from clinical and surgical oncology to hematology. Janakiraman Subramanian, M.D., M.P.H, assistant professor of medicine and director of thoracic oncology at Saint Luke’s Cancer Institute chaired the event. Additional faculty members J. Russell Davis, M.D., cinical assistant professor of surgery; Vinay Gupta, M.D., clinical assistant professor of medicine; Timothy Saettele, M.D., assistant professor of medicine; and internal medicine fellow Brandon Weckbaugh, M.D., made up a panel of expert presenters. The panel discussed topics such as advances in robotic thoracic lung cancer surgery, bronchoscopies and biopsies, immunotherapy, targeted therapies and emerging biomarkers in NSCLC. The State of the Science Summit series is sponsored by OncLive, a digital resource for practicing oncologists. 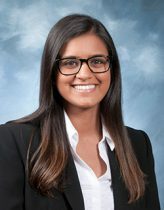 Subhjit Sekhon, a fifth-year medical student, has been appointed to serve on the National Committee for the American Medical Women’s Association’s Medical Student Division. Serving as the recruitment chair for the medical student division, Subhjit will work with regional directors to identify schools that currently don’t have an AMWA student chapter, establish new chapters of the organization and work on updating recruitment materials for the student group. AMWA is the oldest multispecialty organization dedicated to supporting women in medicine and women’s health. Sekhon was chosen for the post from a pool of applicants from across the country. She has been a member of the UMKC chapter of the medical women’s organization for three years and has served as co-treasurer and co-community service chair. She also serves as an ambassador of the Centennial Congress for the Medical Women’s International Association. An offshoot of AMWA, the organization represents women doctors from all six continents.